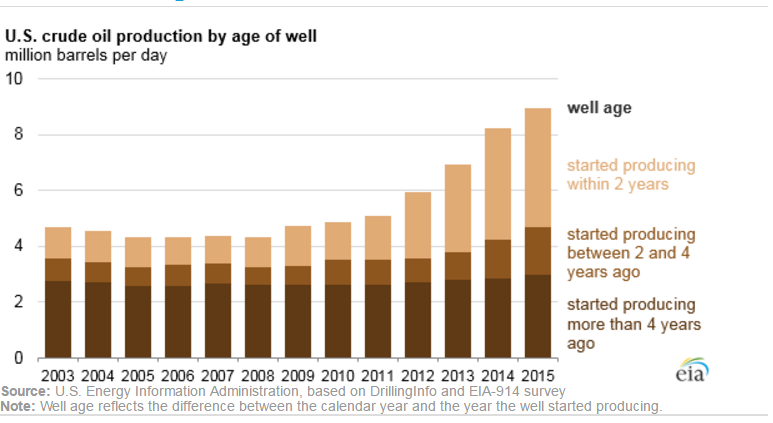 Nearly half of lower 48 oil production in 2015 is from wells drilled since the start of 2014, according to the U.S. Energy Information Administration (EIA). 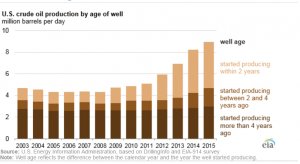 Their newest analysis indicates that 48 percent of total U.S. crude oil production in 2015 is from new wells in the Lower 48. This figure is up from just 22 percent in 2007. Similarly the EIA itself predicted that, due to hydraulic fracturing and horizontal drilling, the U.S. may now be on track to become a net energy exporter by 2020. The EIA’s latest analysis highlights how important the last few years have been for U.S. energy security. By increasing domestic supply via new well-completion techniques such as hydraulic fracturing the U.S. is strengthening its economy while simultaneously decreasing its imports of crude oil and therefore its dependence on other producing countries.